This real freshwater pearl necklace features gorgeous tiny pearl beads wrapped by hand. It is perfect for everyday wear. 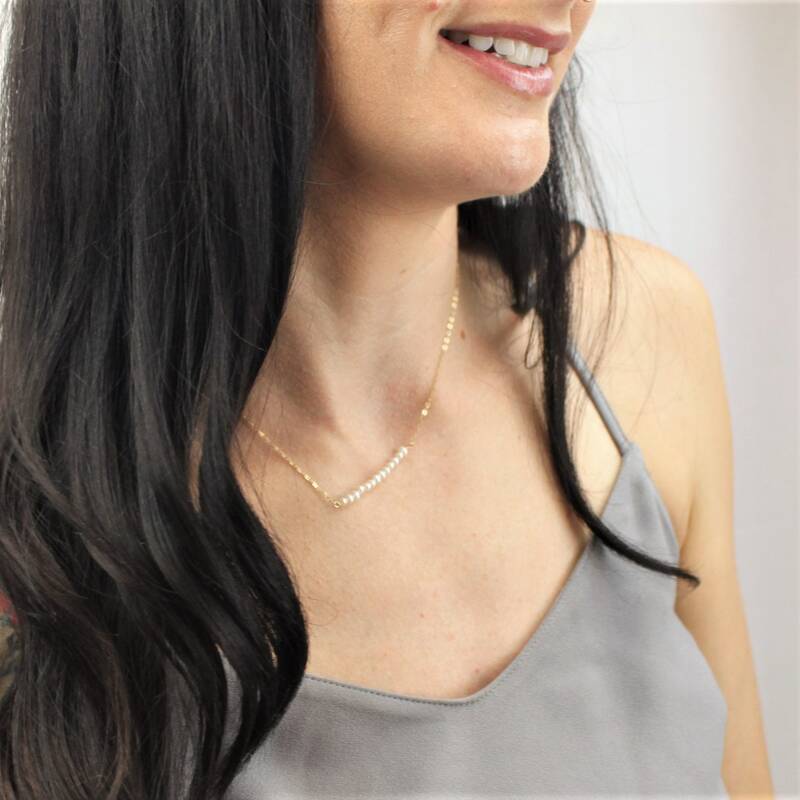 Rustic and beautiful this necklace will compliment anything you wear! 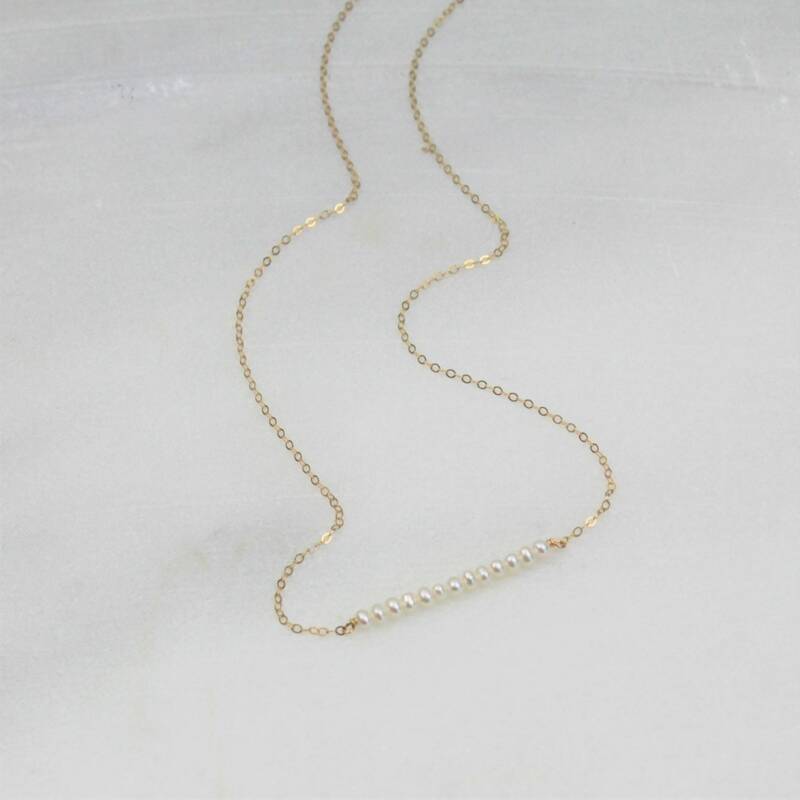 -A high quality delicate link chain with a premium clasp. -Please select from the drop down selection. -The standard length is normally 18". -Model is wearing 16" in Photos. Each design is handcrafted to order, please check the tab under shipping for our current timeline. First class in the US is usually 3-5 business days and international is 10-15 business days.